Showering down in the middle seven mountains reaching the peak of sky, Naini Lake is divine beauty with pure and sluggish flow of water. Nainital district is also named after Naini Lake and holds vital importance and respect from the time when it was introduced. If you are a boating, yachting and paddling lover and want to enjoy an adventurous trip then there is no perfect place then Naini Lake. The view of Sun set you can see from both the ends of lake which gives calmness and peace to the mind. Tallital and Mallital are different parts of Naini Lake wherein Tallital is southern end of Lake and Mallital is northern end of Naini Lake. You can also enjoy luxurious shopping at both the ends of Lakes. An invigorating view of Naini Lake can be enjoyed during night. With royal Naini Lake height and lighting from surrounded hotels, cottages and houses, you can enjoy a mesmerizing look of Naini Lake when light from nearby areas reflects upon it. With the perimeter of around 3.5 kms, it gives and impression of city under sluggish flow of water in night. 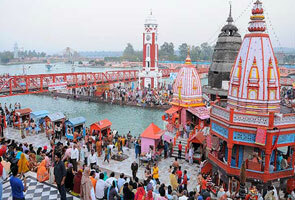 Naini Lake is the perfect place for honeymoon, famility tour, nature lovers, poets, adventure lovers and islands. simply 2 km away from Bus stand you can visit Govind Ballabh Pant high altitude zoo in Nainital. The environment at this zoo is so soothing and convincing for the animals that stay there. Reason is very clear as the zoo is situated at 2100mts elevation above sea level. The hundreds of animals breeds are available at Nainital zoo such as Palm civet cat, Monkeys, Leopard , Silver Pheasants, Hill Fox, Wolf, , Ghoral ,Siberian Tiger (snow tiger), Sambhar , Barking Deer, White Peacock, Rose ringed Prakeet, and Himalayan black bear etc. Minimal ticket of Rs 10 is charged for entry in zoo and is off on Mondays. People are not allowed to feed animals in zoo and food items are also restricted but liquid diets are allowed. If you are visiting Nainital and worried about your necessities such as the place to stay, travel agency to hire, banks, restaurants, streep shopping and shopping complex then one place that with satisfy all your needs is Mall Road of Nainital which is the most busiest road of Nainital and very popular among visitors. Mall road is a link between Tallital and Mallital. Govind Ballabh Pant Marg is another name of Mall road. In May and June this road is blocked for vehicles as the crowd of tourists is high in that time and tourism is the biggest trade of this place. Naina Devi temple is one of the most famous temples in Nainital which is the house of goddess Maa Naina Devi symbolized by two eyes. Situated at the northern shore of Naini Lake, Naina Devi Temple was smashed in 1880 by huge landslide. Later on it was rebuilt due to its vital importance among its worshippers. On Lake’s northern side, Flatts are located alongside Govind Ballabh Pant statue. Wide area is covered by Flatts and it also touches lake. Flatts is basically a cemented play ground that is used for conducting cultural activities and kids also play in the same Flatts. In evening time you can find a bulk of shops of different products and food items at this place. Popular bhotia market and chat bazzar is also set at Flatts. 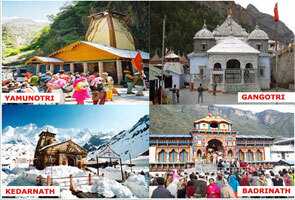 You can enjoy your visit at this place and can visit nearby religious Naina devi temple, gurudwara and mosque. 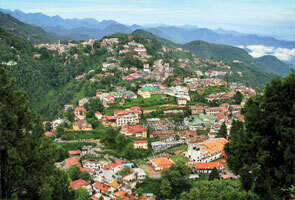 one of the famous tourist spot in Nainital is Governor's House which was constructed in 1899. It was basically designed by famous architect F.W. Stevens in Victorian Gothic domestic style. It was house of summer season for North West Province governor. Now it is named as Raj Bhawan and is used as Uttrakhand Governor’s guest house and other state guests also reside here. Raj Bhawan is a two-storied building having 113 rooms, golf court, a swimming pool, and large garden. Though previously it was necessary to get earlier permission to visit Governor house but now one can buy Entry Ticket of 30 rupees to view Raj Bhawan. Nada kot, Trishul and Nanda Devi Himalayan range’s magnificent view can be seen through Snow view point. It is quite easy to access Snow view cliff in comparision to other mountains of nearby area of Nainital. You can choose any of means like cable car, aerial ropeway or motorable roads to reach the peak of the snow view point. You can visit on any day between 10am to 5pm via ropeway. You will find several restaurants, photographer and tea stalls in between. Very economic charges are applied in cable car that is only 60 rupees for kids and 100 rupees for elder. Enjoy the ride in Aerial Ropeway when you visit to Nainital. The ride starts at Mallital and is linked to Snow view point located above sea level of spectacular elevation of 2275 meters. You can enjoy magnificent preview of puissant Himalayan via Snow view point. While travelling from flatts to snow view point via two trolleys, time of around 2 & a half minutes. The trolley cabin can carry eleven persons or 800 kgs of weight at a time. Ride is available seven days a week between 10.00 a.m. to 5.00 p.m. with fare of Rs. 100 for adult and for child it is Rs. 60. Between 9.30 am to 5.30 pm you can visit Eco Cave Garden which is situated near Kumaon University at just 1 km above Mallital. It is the newest tourist spot in Nainital where one can find several caves of diverse animals and you can enter in these caves. No real animal will be found there and Entry Ticket is only worth Rs 10. It is fun to visit Eco Cave Garden, especially for kids. Children will love to pass through the caves and hidden history would also be a fantasy for kids. Naina peak located above sea level of spectacular elevation altitude of 2615 meters. Highest point of city Naina Peak is situated 6 km to the north of Mallital. China peak and Cheena peak are other names for Naina Peak. Mighty Himalayan range’s magnificent view can be seen through Naina with captivating snow clad peak’s view. You can also get a mesmerizing look of pristine Naini Lake and the Nainital. To get the feel of this beautiful place you need to walk 6km by foot from Mallital or Snow view. Alternatively you can also hire pony. You need to note down that the 6 km trek is best enjoyed from Naina Peak summit. Best attraction point of Nainital is Land's End which gives an enchanting view of sluggish water out of Khurpatal. Positioned at an elevation of 2,120 meters over sea level, Land's End gives marvelous hills and green valley view. You can drive to Barapathar via automobile to reach Land’s end from 1km you need to trek to reach the end where it seems like land has come to an end which is an amazing view. For Trekking lovers, binayak trek is the most apt choice which is a popular trail of Nainital. If you are planning for Nainital visit then this place is must to visit for enjoying best trekking experience. At a distance of 4km from Nainital you will find Tiffin Top which is positioned with 2,292 meters of altitude above sea level of Ayarpatta hill. From here you will get brilliant view of majestic Himalayan range and nearby country side. As Tiffin Top and Lands end are situated very close you can enjoy visits to two places at once. There is also stonework picnic perch named Dorothy seat on Tiffin Top which was built by the husband of Dorothy Kellet in her memory. She was an English lady painter who was died in a plane crash. Very popular temple of Lord Hanuman –Hanuman Garhi is situated in Tallital’s southern part at a distance of only 3.5 km from Nainital bus stop. Premeditated location and spiritual importance of Hanuman Garhi temple makes it the perfect place for pilgrimages. Location of Hunuman Garghi temple is so devine and offers scenic beauty from its height to enjoy natural beauty of sunrise and sunsets. Near to this place Shitla Devi temple and Bapu Lila Sah Ashram are also situated so you can also visit these nearby places while visiting Hanuman Garhi. •	You can also plan Camping to enjoy varying activities such as slithering, , trekking bird watching, yoga, flying fox, bouldering and hikes etc. •	You can enjoy various adventurous sports activities in Nainital such as para sailing, Kayaking, trekking, Canoeing, horse riding, hiking, river rafting, yachting, sky diving, rock climbing and lots more. •	Nainital is also a perfect place for Nature Walks which is an amazing and soothing activity for wildlife photographers, bird watching and nature lovers etc. •	Sailing sports competitions are also organized in summers. 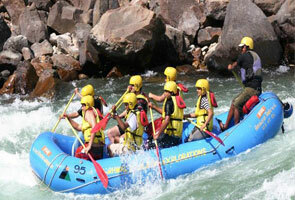 So you can also participate in these competitions to enjoy adventurous sports activities.